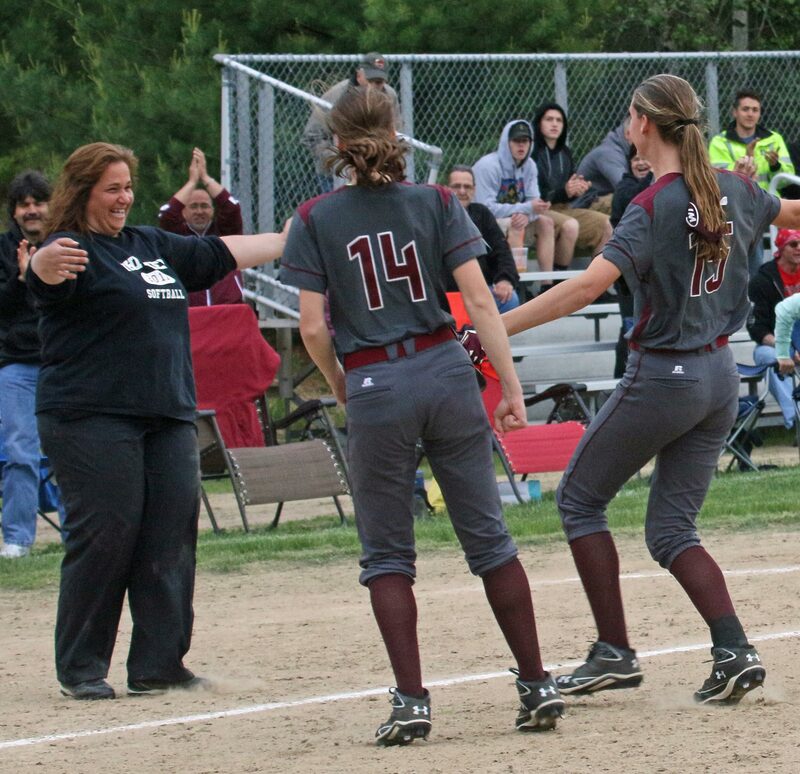 (Haverhill MA) Whittier Tech defeated Essex Tech for the third time this season. 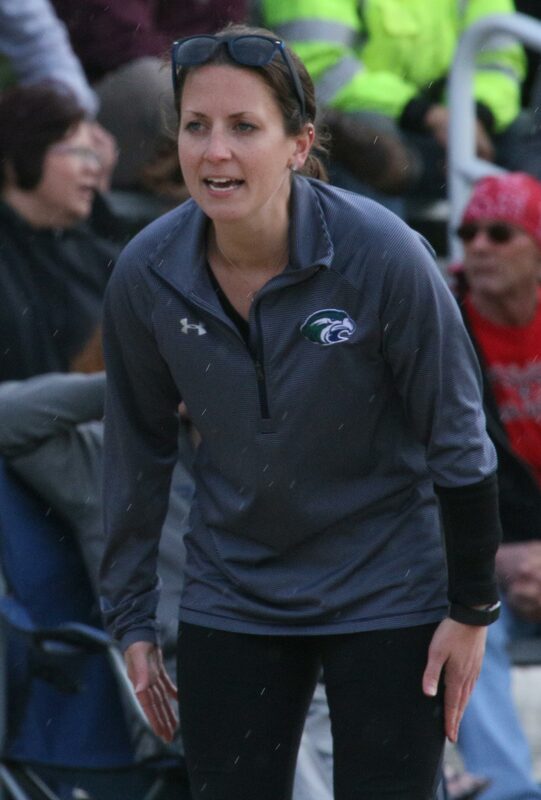 This time the score was 2-1 in a Division 3 North First Round game on a sunny/cloudy/drizzly Saturday afternoon at Whittier. 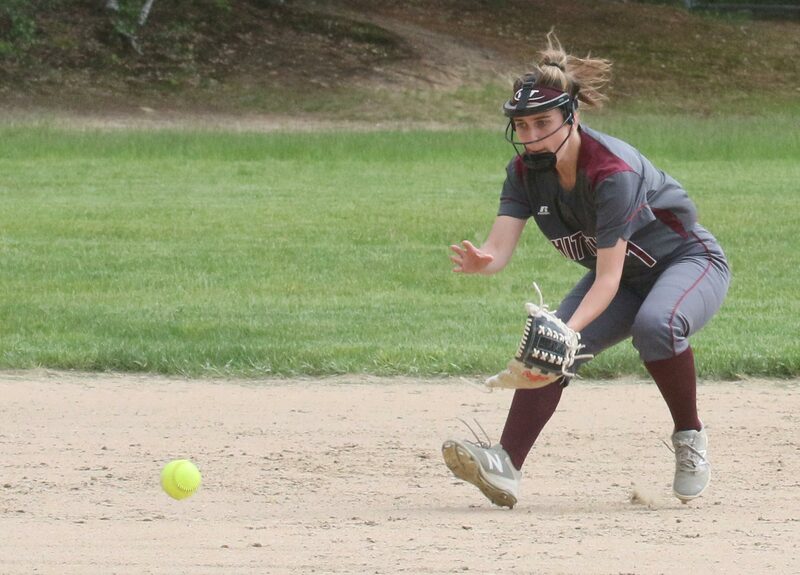 The ending was dramatic as Olivia Beauchesne’s two-out blast in the bottom of the seventh inning (over RF Hannah Lilly’s head) delivered teammate Kayle Hobbs from 3B with the game winner. 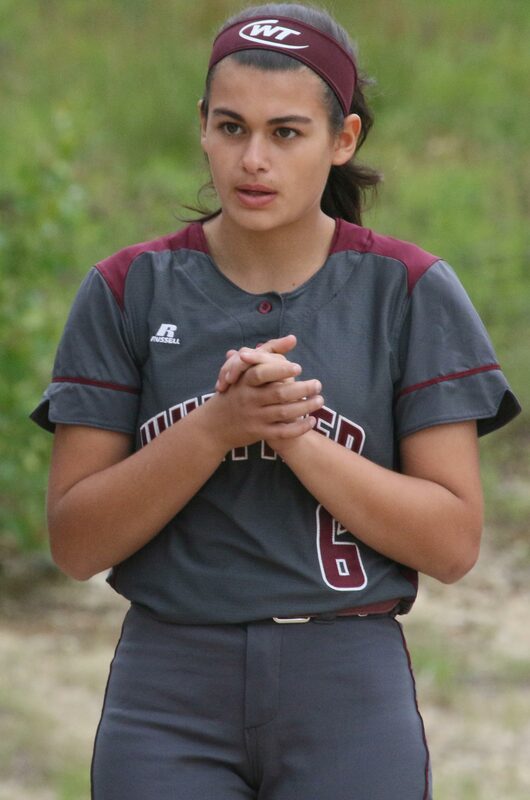 The Wildcats trailed 1-0 in the second inning as senior Anna Cloutman brought in freshman Hester Murphy with an RBI single that was nearly caught by WT rightfielder Eliza Slocum. Whittier (19-2) tied things in the fourth inning. 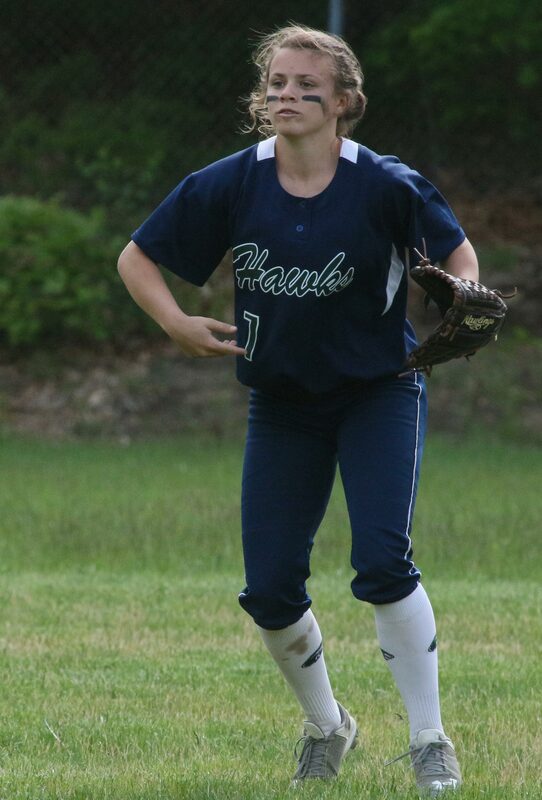 Kaley Thibault walked to lead the inning off and later scored on Alyssa Wilson’s sharp single to CF. I was impressed with both pitchers. 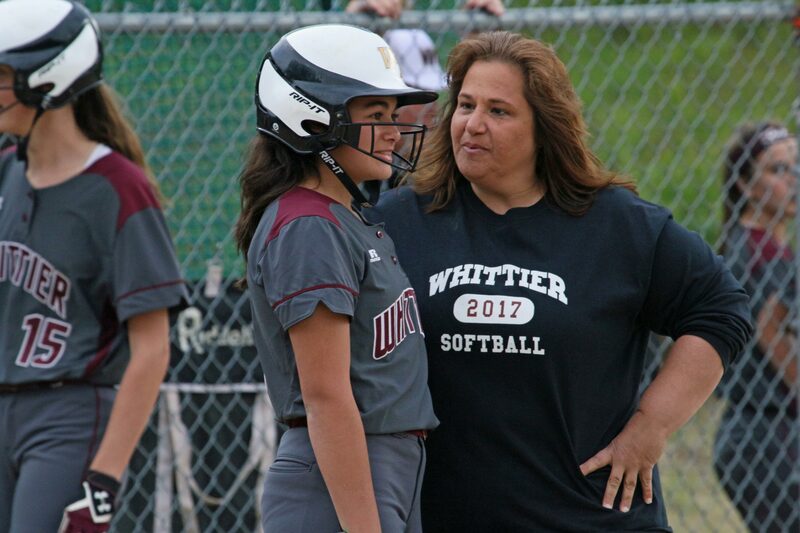 Whittier sophomore Nicole Verrette K’d nine Hawks and allowed four hits. Four of the Hawks outs in the last two innings were strikeouts. 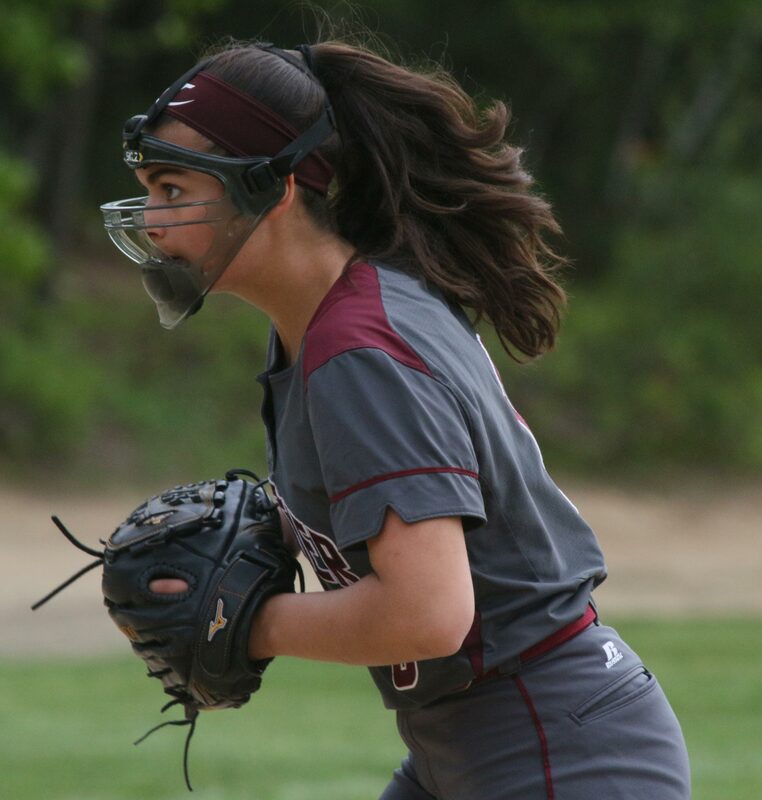 Essex Tech freshman Sheree Fallon struck out only two but limited WT to four hits. Several defensive gems by ET (14-8) kept them in the game against a team that already had 8-3 and 6-1 wins over them this season. 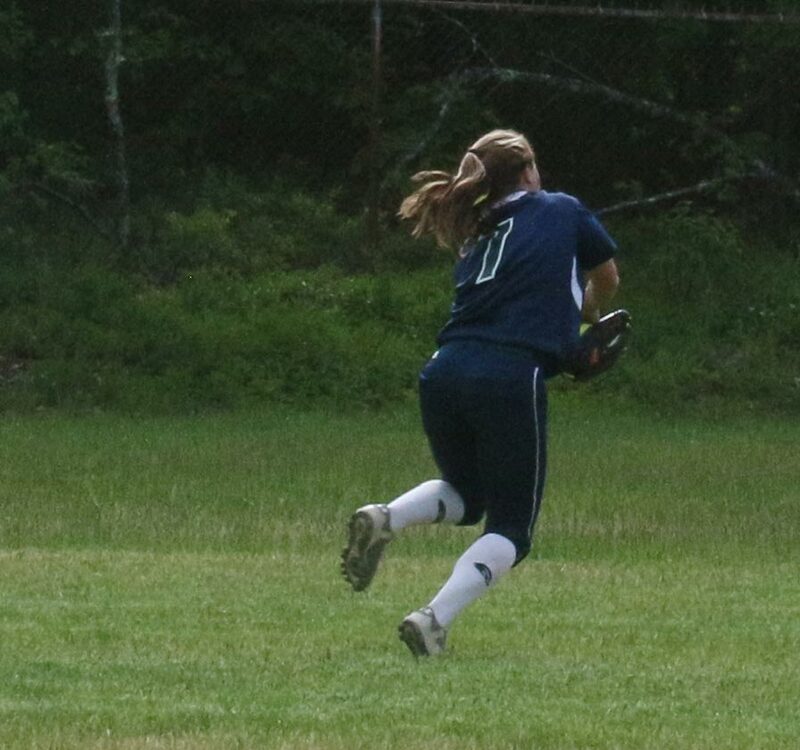 In the first inning, CF Allison Vienneau made a back-to-the-infield, catch deep in center field. 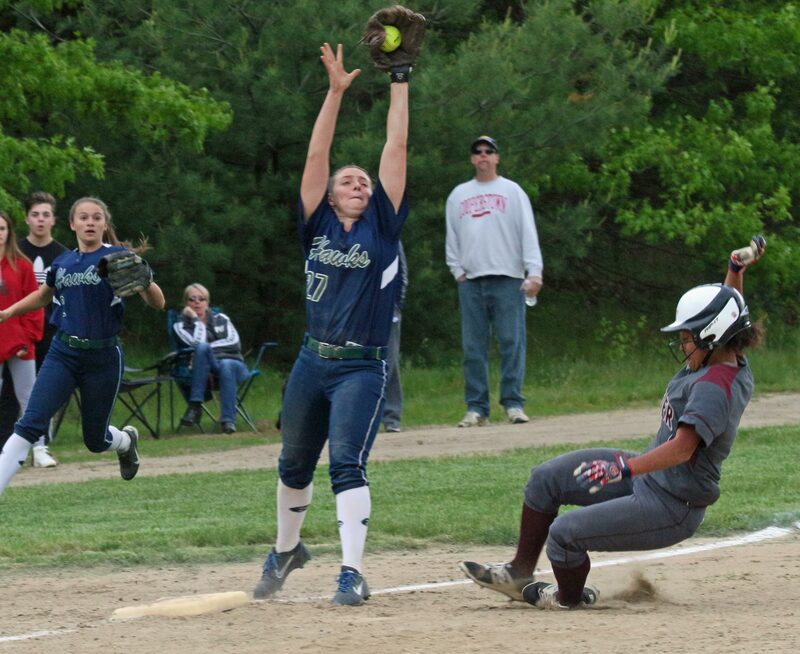 I’m guessing that the shot by Allison Beauchesne would have left a fenced-in outfield. Hester Murphy had two sparklers at 3B. Both were line drives. The first one (in the 2nd inning) was turned into a double play. 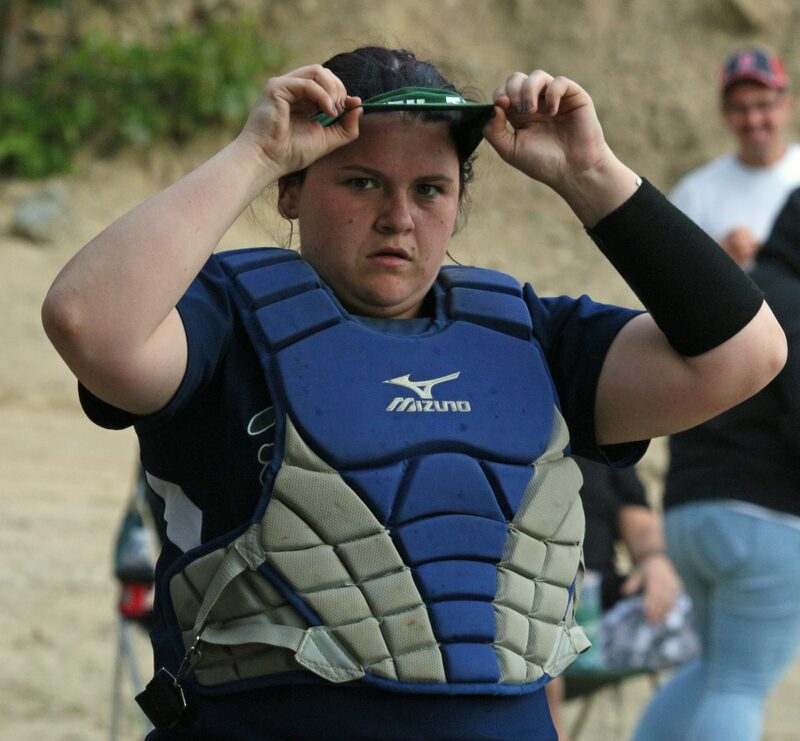 The other one (in the 7th inning) was hit by Nicole Verrette. Hester’s catch on that one was the second out of the inning. 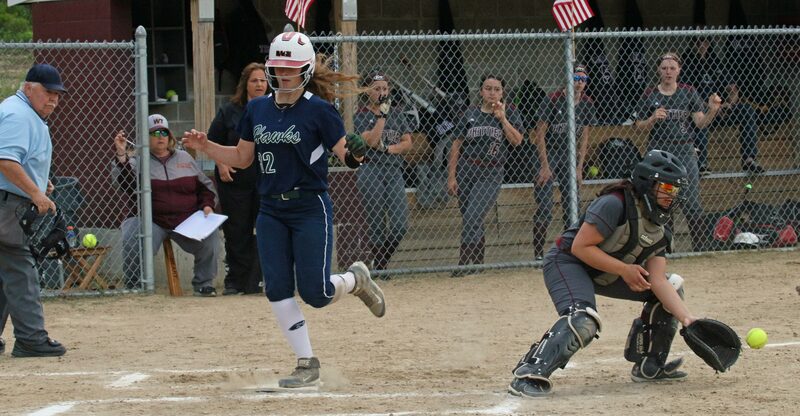 Kayle Hobb’s base-running in the walk-off inning was very important. 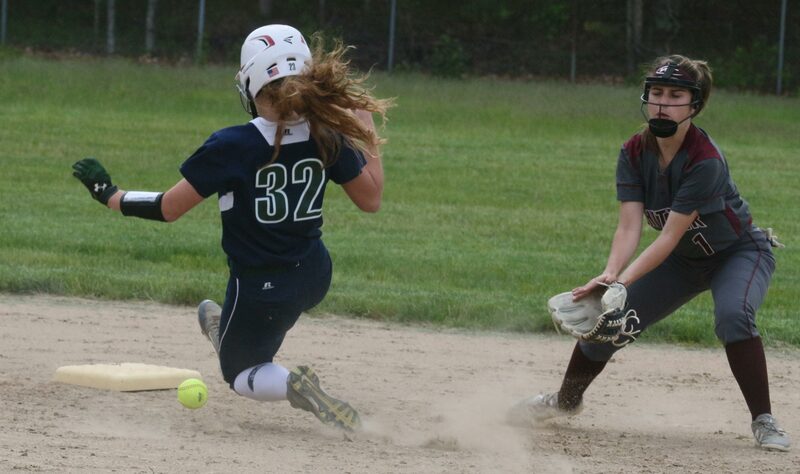 After singling, Kayle went from first to third on a grounder to third. 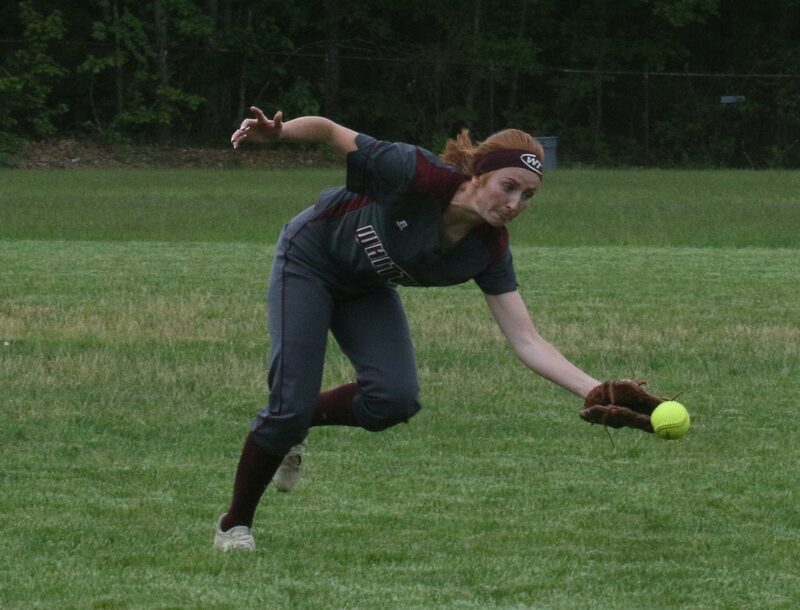 That infield grounder by Kyleigh Campbell pulled in 3B Hester Murphy and Kayle saw the base uncovered as she rounded second. 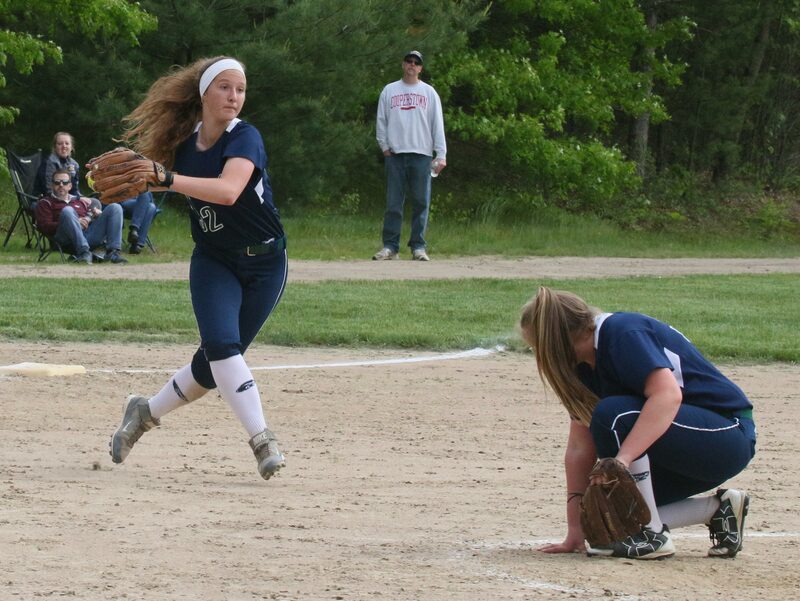 Shortstop Emily Brown covered 3B but the throw from 1B Caitlyn O’Shea was high and Kayle was in safely. 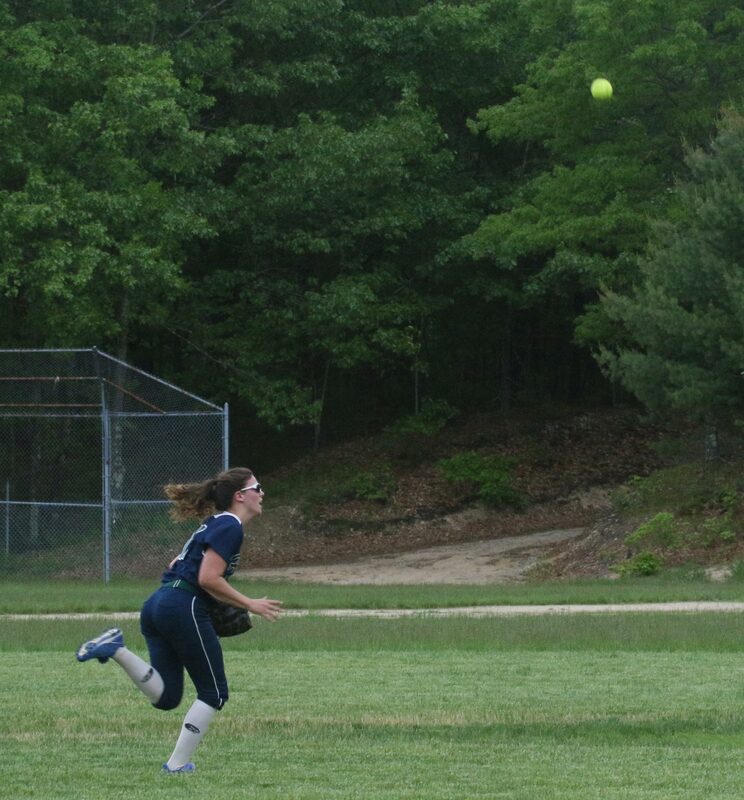 The next batter (Nicole Verrette) whacked a line drive to 3B Hester Murphy and Kayle resisted the impulse to take off for home on contact. It would have been an inning-ending double play if she had. 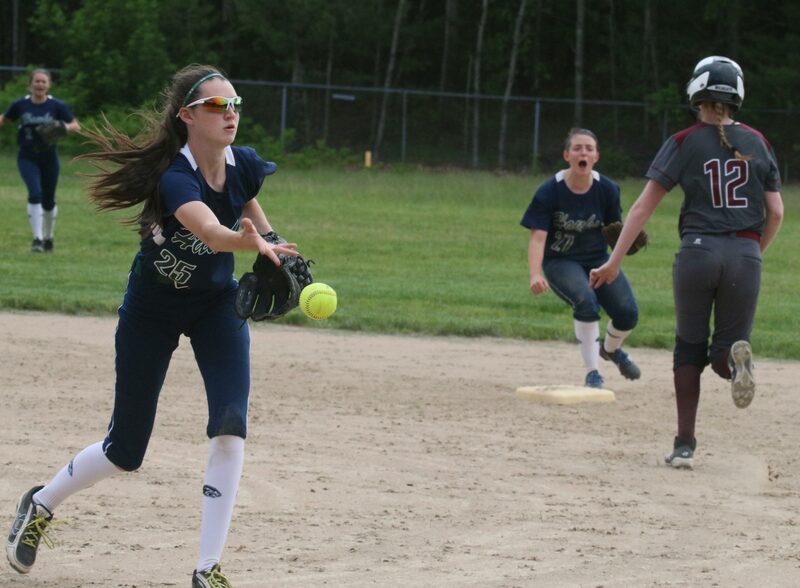 Next batter Olivia Beauchesne then delivered the long hit to right field to win the game. 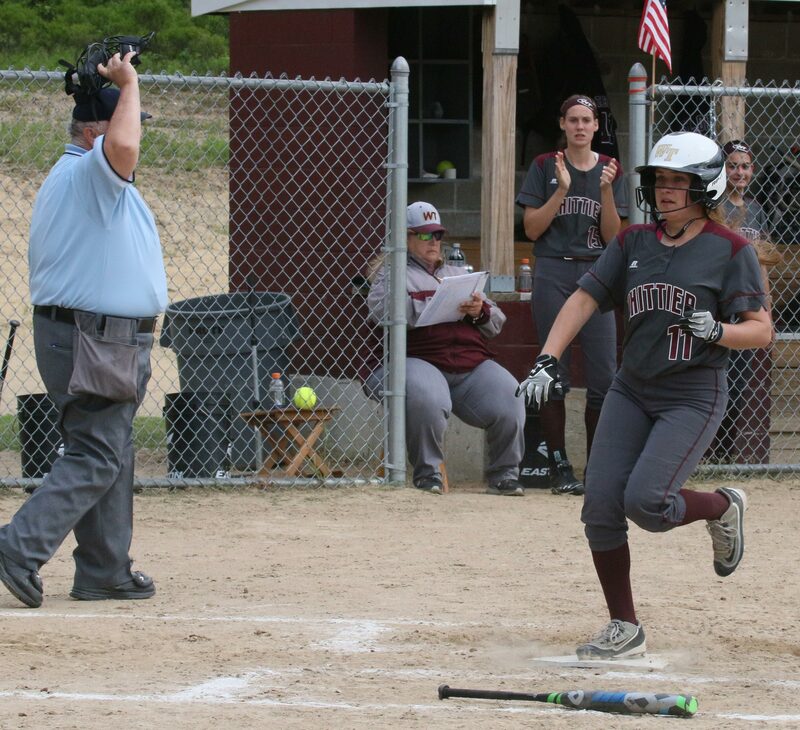 I believe that Olivia’s hit to right would have left the fenced-in parks I’ve seen. 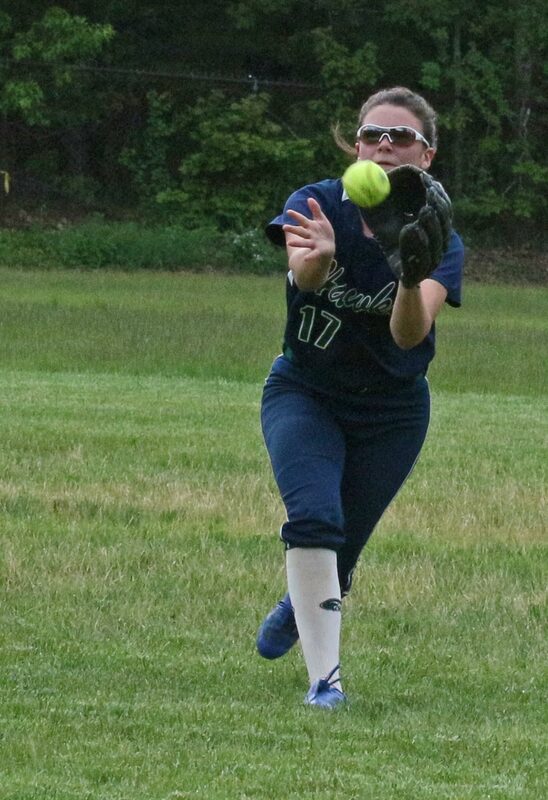 Essex Tech’s four hits came from junior Hannah Lilly (2), and one each from freshman Hester Murphy and senior Anna Cloutman. Kayle Hobbs had two of WT’s hits. Freshman Alyssa Wilson and senior Olivia Beauchesne had one each. The solid pitching and sound defense made this a game that lasted just over an hour. Good thing because the game no sooner ended when it started to drizzle. Special thanks to Whittier AD Kevin Bradley for helping me get to the correct field. I was unknowingly heading for the Whittier/Bishop Fenwick baseball game which started at the same time as the softball game. 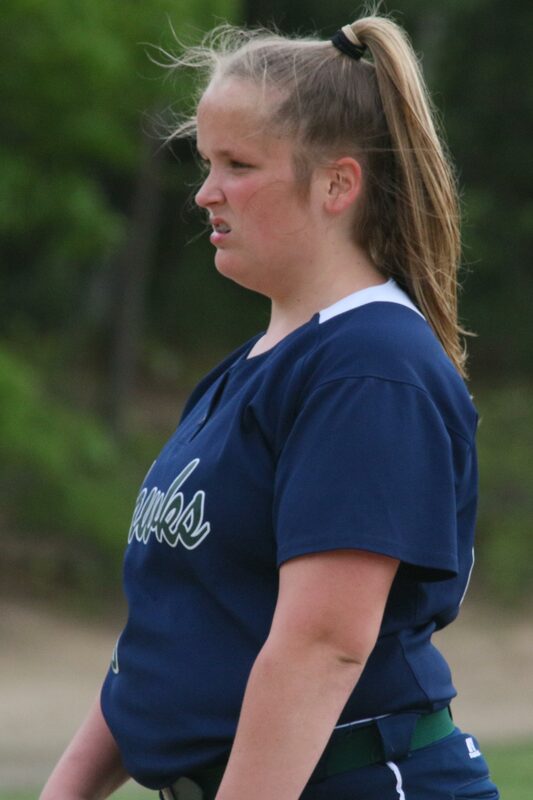 ET freshman pitcher Sheree Fallon allowed only four hits.